When archaeologists from Durham University were examining a dig in the county in 2013, they found a bit more than they bargained for. Human remains lay within the ground, which belonged to Scottish soldiers who were prisoners of war in the 1650 Battle of Dunbar, jailed in the then-disused Cathedral and Castle. In her new production Woven Bones, developed alongside Durham University, playwright Laura Lindow is set to bring the stories of these Scottish Soldiers to life. Following the same trail as the soldiers’ route in 1650 from Dunbar to Durham, the fascinating new production tours the region this month. 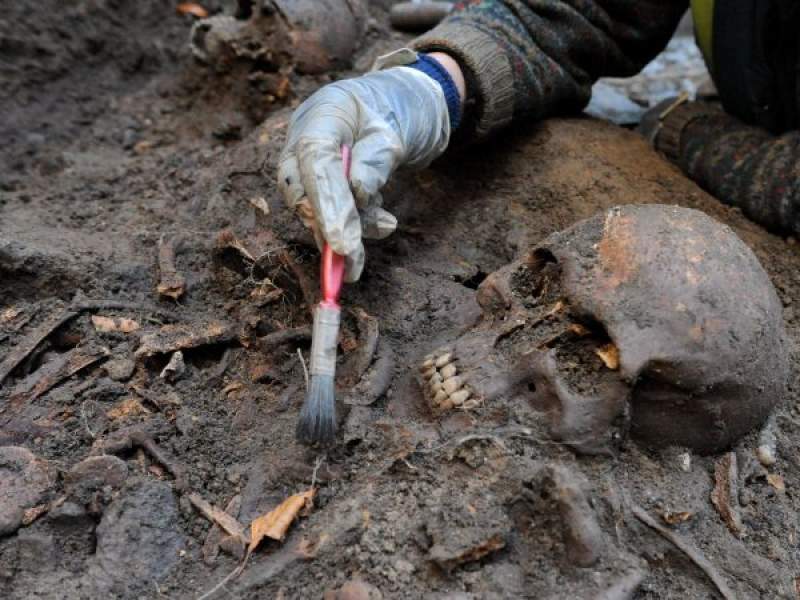 Woven Bones is set to dive deeply into the story of how the archaeologists used state-of-the-art technology to discover more about the soldiers, exploring how the skirmish that formed part of the third English Civil War came to have a lasting, definitive impact on their lives. To further illuminate the reality of the battle and the experience of the prisoners, there will be an opportunity to meet some of the team from the excavation, with audiences able to hear the process behind finding the skeletons and discovering who the remains belonged to. The Battle of Dunbar lasted just an hour; this multi-disciplinary theatrical experience will stay with you much longer. Woven Bones comes to Elsdon Village Hall, Northumberland (Tuesday 26th June); Alphabetti Theatre, Newcastle (Wednesday 27th-Thursday 28th June); The Maltings, Berwick (Friday 29th June); The Customs House, South Shields (Tuesday 3rd July); Arts Centre Washington (Thursday 5th July) and Gala Theatre, Durham (Friday 6th-Saturday 7th July).